A number of residents have contacted me concerned at what appears to be the removal of foliage on Hawkhill at the Bellfield Street junction (opposite the Whitehall Theatre) – see above. The good news is that this older, tired shrubbery is being replaced with a new planting schedule that will have high quality environmental improvements from that junction down Hawkhill to the Hunter Street junction. See below and a more detailed PDF of the planting being undertaken can be accessed here. Yesterday afternoon, I attended the latest West End Local Community Planning Partnership (LCPP) meeting at the Whitehall Theatre – see right. The LCPP meeting remains a great opportunity for representatives from different council departments, councillors and representatives from other organisations like police, fire and rescue and the NHS to discuss local issues and matters of concern. Yesterday’s meeting included a tour of the theatre’s recent excellent refurbishment and improvements and a presentation from Kenny Christie, Chair of the theatre’s Board, a presentation by Leisure & Culture Dundee Board representatives about Leisure & Culture Dundee’s services to the city and also a presentation from the City Centre Manager. All were very well-presented and informative. We also had the opportunity to discuss various local issues including useful updates from Fire & Rescue and Police Scotland representatives. 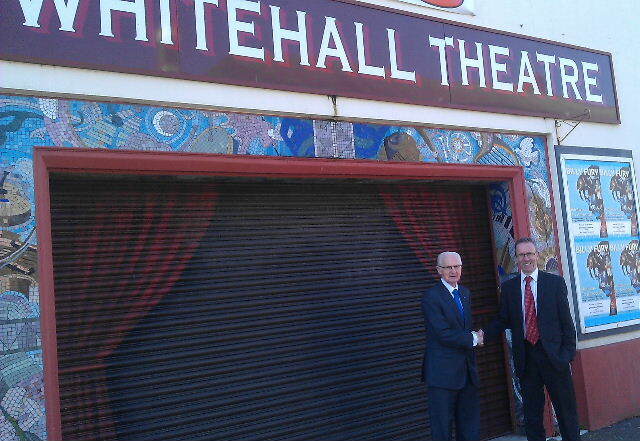 Yesterday, I took part in a tour round the Whitehall Theatre, at the invitation of former Lord Provost John Letford. John, as the chair of the Whitehall Theatre Trust, and his colleague Davie, gave me an interesting insight into the improvements taking place at the theatre. 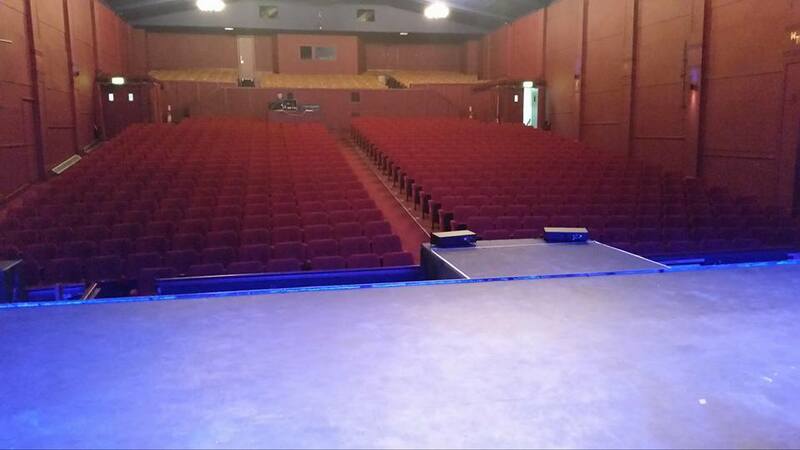 The Whitehall Theatre has good facilities that local West End groups can have access to – the cafe area in particular is a great meeting place – and any local group wishing to use the facilities should contact the theatre at Dundee 322684. Later yesterday, I had the pleasure of chairing the latest meeting of the West End Christmas Fortnight Committee. This year’s Christmas activities in the West End are taking great shape and between 17th November and 1st December a whole host of events are taking place. * I also attended the latest committee meeting of the Jericho House Support Group at which a number of us discuss fundraising and other projects to support this extremely worthwhile facility in the West End Ward, that assists those recovering from alcoholism. * This evening, I firstly attended the Blackness Primary School Parent Council meeting at which concern at the loss of PE and music specialists in primary schools was discussed. The Director of Education attended and there was a useful question and answer session. I have strongly opposed the loss of these vital teaching posts and attempted to reverse the cut during the City Council budget meeting. * Lastly, I had the great pleasure of attending a very well-attended Civic Reception in honour of the Whitehall Theatre and to officially launch its very impressive new web pages and social networking presence. 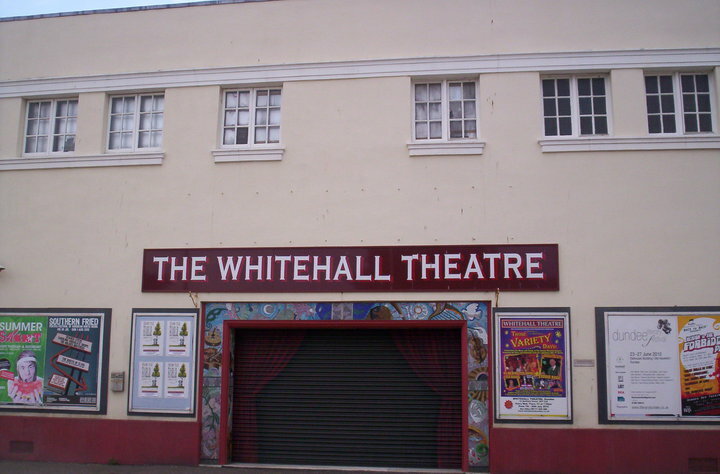 The Whitehall Theatre has faced great challenges of late but a bright future lies ahead. The theatre is an iconic part of the West End and it was good to see such strong support for it at tonight’s event. I have spoken with many constituents today in the West End, expressing their concern about the future of the Whitehall Theatre. As the day progressed, it was reassuring the learn that, despite the difficulties of the theatre company and the liquidation decision, the Whitehall Theatre Trust has signalled its intention to keep the theatre open and that it intends to still run shows like Dundee Schools’ Music Theatre’s “Me and My Girl”, other autumn shows and hopefully the pantomime in the run up to Christmas. 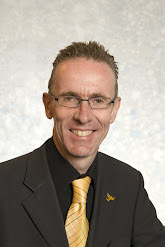 The Whitehall Theatre has provided high-quality entertainment for Dundonians and the wider region for generations and I have today been in contact with the City Council’s Chief Executive to ascertain what steps the City Council may be able to take to assist. I have been advised by the council’s Chief Executive that he agrees that the loss of the Whitehall Theatre would be a blow to the city. He had held a meeting with the Whitehall Trustees prior to the announcement in the press this morning and assured me that he will continue to liaise with the trustees to offer support and advice from the City Council. This is a most helpful response. The Whitehall Theatre Trust’s determination to carry on must be fully supported and that’s echoed by the views of the many West End residents I have spoken with today. I have received further complaints about the graffiti mess at Seabraes (see photos below). Many residents have commented positively about the viewing platforms that were opened in the fairly recent past. It is a real pity that they have been subject to this sort of mindless vandalism and I think it is important that, not only do the Police take a proactive approach in tackling this, but that SET and the City Council quickly arrange removal of any graffiti. Otherwise it becomes a permanent eyesore and local residents have called me complaining about the mess. I firstly e-mailed SET about the latest graffiti on 26th May and have yet to receive feedback. To be fair to SET, the organisation has in the meantime given me a positive response about another West End issue – the overgrown grounds at the Technology Park – but I have now asked the Waste Management Department of the City Council to contact SET to see if agreement can be reached to get the mess removed. With regard to other graffiti problems, I recently asked Waste Management to contact the Whitehall Theatre regarding the graffiti on the north of their building. Waste Management has now advised me that the theatre is taking steps to remove the mess.